Jesus, where to begin. It’s been a while since I’ve seen such an ill-conceived piece of crap…. and I’m a fan of the musical. (I admit it proudly, too.) This big-screen adaptation of the much-beloved smash hit – an exercise in bombast with as much subtlety as a Michael Bay film – fails on almost every possible level. 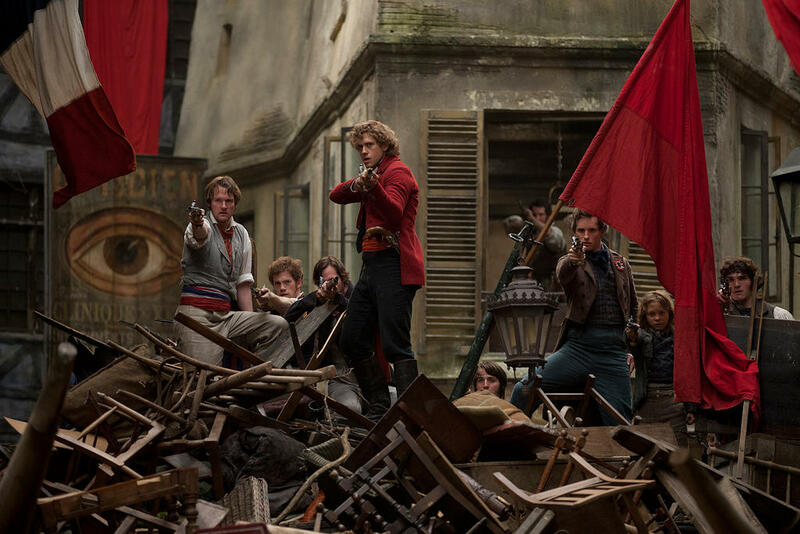 Les Misérables is outrageously sloppy in terms of acting – sometimes overplayed, sometimes underplayed, all unintentionally funny. Hugh Jackman brings on the histrionics as ex-convict Jean Valjean, on the run from the authorities and wishing for Wolverine’s claws to dig himself out of this mess. He’s not exactly horrid, but then again, that’s no big praise. Russell Crowe flails miserably as his nemesis, obsessed police inspector Javert. He brings no gravitas or passion to what’s arguably the most interesting character in the story – each unemotional glance betrays his boredom. And don’t get me started on Sacha Baron Cohen, Helena Bonham Carter, and Amanda Seyfried. The first two are given nothing to do but ham it up as the scheming Thénardiers, and the latter shows no dimension whatsoever to the role of Cossette, a character that’s supposed to propel the whole story arc. For shame. The disparate acting from otherwise fine actors is indicative of Tom Hooper’s failure as a director here. Add the film’s overuse of CG backgrounds, the frantic camerawork that never knows when to breathe, the confused editing… all these point to a film with no guiding force behind it. Where is the guy who made The King’s Speech (2010) just two years before? Another egregious mistake is having no particular choreography to speak of. I mean, this is a film based on a musical, right? Couldn’t the filmmakers come up with at least one exciting number to dramatize? If you doubt what I’m saying, just watch the film’s rendition of Bring Him Home, as Valjean walks the slums of Paris and asks God to watch over Cossette’s revolutionary lover Marius. It is an exercise in endurance unlike anything I’ve experienced this side of The English Patient (1996). And while I’m at it, how about a couple of scenes of dialogue as character development? The best movie musicals – The Sound of Music (1965), Fiddler on the Roof (1971), et al – know this, and it does make a difference. But alright, I will stop my diatribe here and admit I did like Anne Hathaway’s brief performance as Fantine, Cossette’s mother. Her I Dreamed a Dream has been praised by critics, and it rightly is the showstopper number in the film (thanks, Tom, for finally keeping the camera still). I also enjoyed Samantha Barks as Éponine, daughter of the Thénardiers. Her turn is heartbreaking, and watching her sing her unrequited love for Marius in the beautiful On My Own is a joy to watch. But these few pleasures are not enough to make Les Misérables remotely watchable. Head on to youtube and look for these isolated numbers instead.